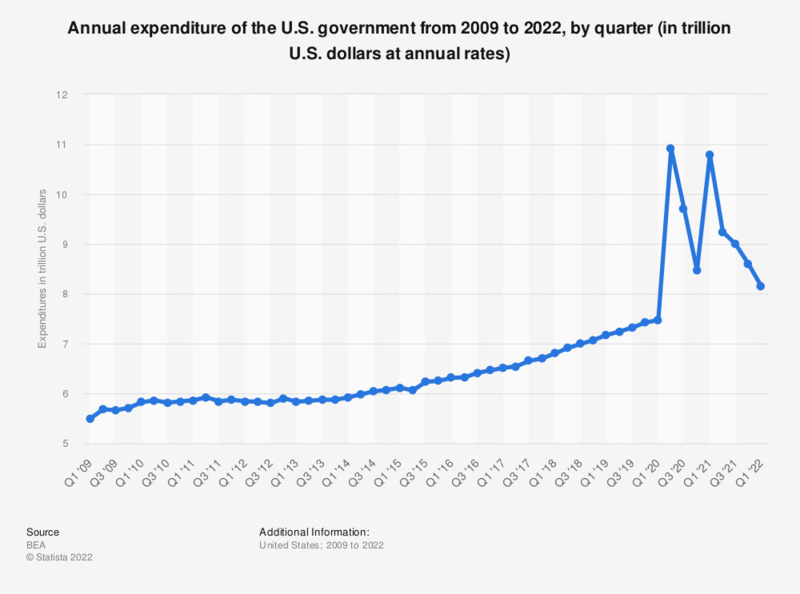 This statistic shows the annual expenditure of the U.S. government from 2012 to 2018, by quarter. Annual government expenditure in the United States added up to about seven trillion U.S. dollars in the fourth quarter of 2018. The data are in seasonally adjusted U.S. dollars at annual rates. Total expenditure consist of current expenditure + gross government investment + capital transfer payments + net purchases of non-produced assets - consumption of fixed capital.